SINGAPORE - Singapore's airport and tourism authorities have partnered Australia's Qantas in a $5 million marketing initiative to grow traffic to and through Singapore. The three-year Changi Airport Group (CAG), Singapore Tourism Board (STB) and Qantas partnership is the first of its kind with a foreign carrier, The Straits Times understands. Before this, the authorities have worked only with Singapore Airlines (SIA) on such projects. With the new tie-up, CAG, STB and Qantas will work together on a series of joint marketing campaigns in Australia, the United Kingdom and South-east Asia to promote travel on Qantas services via Singapore. The partnership announced by the three parties on Tuesday (March 13), comes as Qantas prepares to resume its Sydney-London services via Singapore from March 25. In April 2013, the Australian carrier had moved out of Singapore, making Dubai its stopover for Australia-Europe flights, although it continued to grow Australia-Singapore services. The decision to return is part of plans to expand Qantas' presence and foothold in the growing Asian market, the airline's top brass has said. 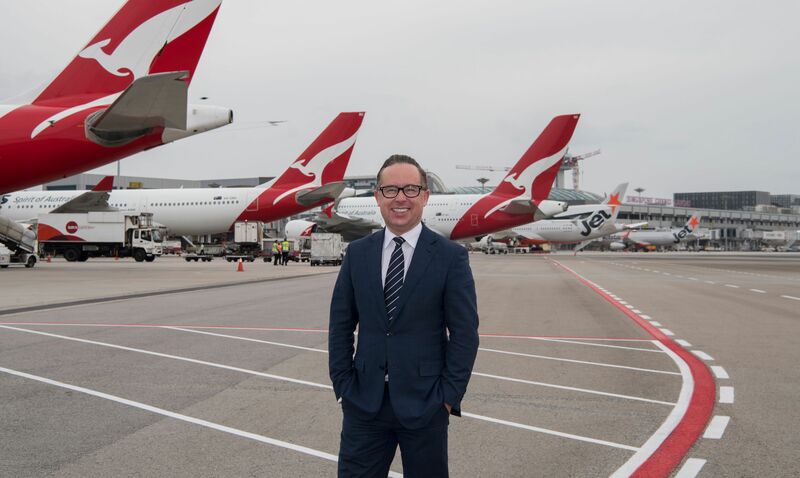 On the tie-up with Changi Airport and STB, Qantas' chief executive Alan Joyce said: "Singapore is Qantas' largest hub outside of Australia, carrying more than 20 per cent of our wide body fleet. "It is a cornerstone city in our international network strategy and plays an important role in our ability to respond to the incredible growth we are seeing in travellers from Asia." The deal will also allow Qantas to better leverage its partner network in the region, which includes working with its low-cost arm, Jetstar, Mr Joyce said. From April, Qantas will operate over 50 return services into and out of Changi Airport each week, making it one of the largest foreign airlines to operate out of the Singapore airport. STB's chief executive Lionel Yeo said that the partnership presents an opportunity to drive more visitor arrivals to Singapore and raise its profile as a quality destination through joint marketing efforts. "Australia and the UK have always been important source markets for Singapore, ranking 5th and 12th respectively in 2017. The addition of more Qantas services, especially the return of the iconic Kangaroo Route (Sydney-Singapore-London), is set to draw even more visitors from the two countries," he said. Of the 62.2 million passengers that Changi Airport handled in 2017, about a third were transit travellers. London is Changi's busiest long haul destination and with Qantas' new flights, Changi will offer a total of 53 weekly services (about 19,600 one way weekly seats) between the two cities. Changi Airport is also the most connected international airport to Australia, both in terms of the number of city links and weekly seats available. CAG's chief executive Lee Seow Hiang noted that Qantas has been flying to Singapore for more than 80 years. "It is one of the longest serving airlines to operate at Changi and is a valued airline partner," he said. Centre for Aviation's chief analyst Brendan Sobie said the CAG-STB tie-up with Qantas is a step in the right direction, given the increasing competition for air traffic. "It's a good idea for Singapore to promote inbound visitor traffic. The outbound market is mature and not expected to grow much while transit traffic is extremely competitive," he said. "The inbound segment also has a big overall economic impact (when visitors come and spend). Inbound traffic now makes up 44 per cent of the total traffic at Changi and could grow to 50 per cent, driving overall growth."